The Veterinary Cardiology Service at the UF Small Animal Hospital is committed to providing an exceptional level of care for dog and cat patients suffering from various cardiac diseases. 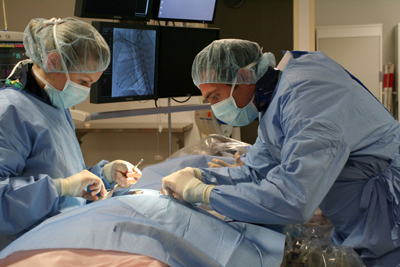 We specialize in both medical and interventional (cardiac catheterization) cutting edge veterinary cardiac care for pets afflicted with heart disease. It is our mission to provide the very best in assessment of treatment options and to help you make informed decisions regarding your pet’s health care. Your pet will receive the highest quality veterinary care from our team of specialists, including board certified veterinary cardiologists, critical care experts, internists, anesthesiologists, and highly skilled veterinary nurses. We also appreciate the importance of communication and work to keep you and your veterinarian well-informed during your pet’s stay in our veterinary hospital. We are located within the UF Small Animal Hospital, 2015 SW 16th Avenue, Gainesville, Florida 32608. To make an appointment, please call our Main Hospital Phone: 352-392-2235. We are actively seeking Dobermans for a current clinical study on dilated cardiomyopathy. Click here for more information. Please contact the UF Small Animal Hospital at (352) 392-2235 for more information or to schedule an appointment. NOTE: We have not forgotten our canine patients. We have set aside separate appointment times on most Fridays for our canine patients. Please call (352) 392-2235 for more information or to schedule an appointment. ***UPDATE*** Our cardiology surgery team from Japan has finalized the necessary contracts with UF and have applied for visas. Our plan is to complete the first surgeries in late spring 2019 with the team visiting every 2 months and performing up to 6 cases each time. Dogs will be selected based on health status with close collaboration with the team from Japan. Dogs with a history of heart failure (stage C) will be prioritized as they have limited time but dogs with enlarged hearts before heart failure will be considered (stage B2). 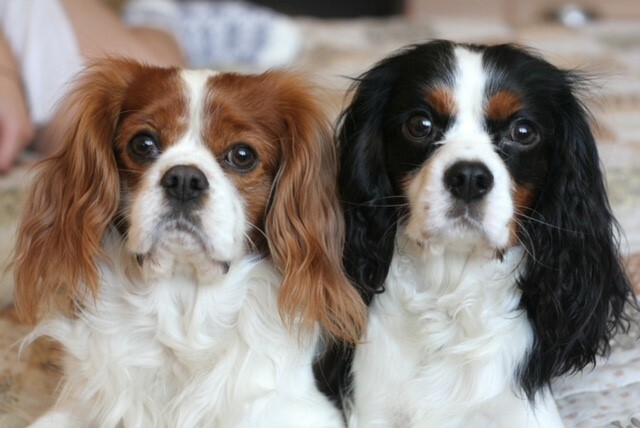 Mandy’s Mission to Mend Hearts, established by a generous donation, is in honor of Mandy, a wonderful Cavalier King Charles Spaniel who lost her battle with Mitral Valve Disease. This is the most common heart disease suffered by dogs in the United States with approximately 5 to 7 million dogs affected. Common in small breeds, this malady can affect any dog and is a leading cause of death for older dogs. In this disease, failure of the mitral valve causes heart enlargement then ultimately heart failure. The good news is a team in Japan has developed the ability to perform a surgical repair procedure of the valve via cardiac bypass in dogs, presently achieving a success rate of 87%! The dogs are often able to discontinue all medications after surgery. Unfortunately, the Japanese surgical team are unable to visit the United States regularly. We really have a need for a successful open-heart program to perform this surgery in the United States. More good news, at the University of Florida, we have a Veterinary Cardiology team willing to undertake the training necessary to become proficient at mitral valve repair. This is where you can help! Funding will allow us to establish this program to perform repair of congenital and acquired heart diseases in dogs that would otherwise have a poor prognosis. Your support of this program could help advance the future of veterinary medicine and save many pets who suffer from this devastating disease. How can you help now?